General Motors employees at its Adam Opel division’s Bochum plant in Germany rejected a cost-cutting plan this Thursday that aimed to extend production at the facility through 2016 in exchange for a cut in compensation. Presented as an alternative to closing the plant in early 2015, the plan offered to extend vehicle production through 2016 and keep 1,200 workers long-term in components (parts) production and distribution operations, in exchange for wage benefit concessions that include foregoing fringe benefits and accepting wage freezes. “The promise of parts production, the commitment to alternative jobs and possible severance payments were too vague for the majority,” said an official of German labor union IG Metall representative Knut Giesler. According to the union, 76 percent of its members rejected the proposal. “IG Metall, the works council and Adam Opel AG will have to coordinate in coming weeks regarding the next steps,” said the union. A previous agreement called for the plant to stay open until at least the end of 2014, which is when the Delta-based Opel Zafira MPV would be replaced by an MPV jointly developed by Opel and alliance partner PSA Peugeot-Citroen. The Zafira’s replacement vehicle has been reported to be manufactured by the French automaker, rather than by Opel — allowing GM’s German subsidiary to reduce overcapacity in Europe, which has heavily contributed to Opel’s financial misfortunes. The unit has posted financial losses for over a decade, with the operating loss having more than doubled in 2012 to $1.8 billion amid falling car sales and recessed economic conditions. 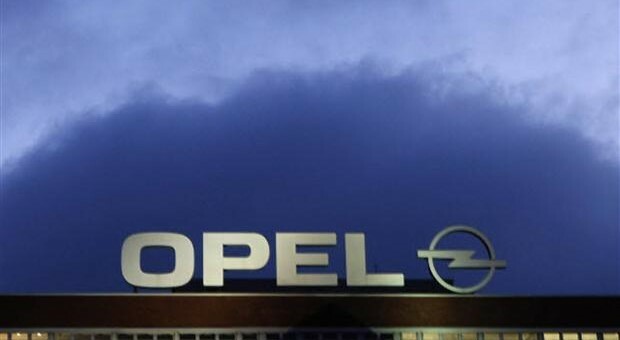 In 2013, Opel expects industry sales in Europe to decline and hold at 20-year lows as the unit expands to certain international markets such as Australia, China, Chile, and Argentina. But even with the glum economic outlook, General Motors expects to break even in Europe by mid-decade, a goal that will be reached by reducing fixed costs by $500 million while saving $2 billion through the alliance with Peugeot. Previous story 2014 Chevrolet Camaro: What Are You Hoping The Refresh Will Bring? Seems like a bad decision not to take a wage freeze lose your job two years earlier. Meanwhile back in the USA there are still no Twinkies and ding dong’s. Opel has a New Zealand website called http://www.opel-nz.com/ but why does it redirect to the Australian website?? If the Zafira goes to PSA ,which model will be built alongside the Insignia in Ruesselsheim then? Opel needs a second model there to utilize the Ruesselsheim plant. I guess they will built the next generation of the Astra there, if GM decides to built the Chevy Cruze in Poland and only few body styles of the Astra will be still produced in Poland such as the sedan. Rüsselsheim currently builds Astras alongside the Insignia. Yes, but only in very small numbers. The workers stood firm and proud against the blackmail of GM. They deserve the respect of all working people around the world. GM demanded 700 workers to go right away by doing away with the night shift, the right to fire ad libitum and a wage freeze. Giving in to the bosses demands has never helped. Now, GM will have no more Zafiras after 2014? I also thought the same. I can not imagine that Opel plans to discontinue the Zafira after 2014 otherwise they would have to wait three years until the successor comes to the market. This would be strategically and economically disastrous and above all a waste of money, because the Zafira is not so old and it is still an important model in the Opel lineup with around 100,000 sales every year. A relocation to another Opel factory also makes no sense. Do Opel and GM really wants to lose Zafira or Comapct MPV customers? The Zafira name would be also damaged.